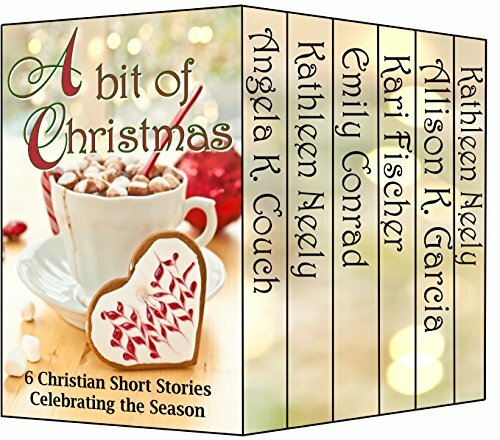 A Bit Of Christmas is a wonderful collection of six very different short stories surrounding the Christmas theme. All are totally delightful and heart warming. I Heard The Bells by Angela K Couch is a gentle story of love and families and conflict. Conflict that divided a nation and split families apart. But will love conquer all? The Missing Pieces by Kathleen Neely is a sweet story about life and death and Jesus. We will never be complete on this earth. We will always be missing something but one day we will be whole. Returning Christmas by Emily Conrad is a wonderful tale about the gift of grace. We get what we do not deserve. Jesus too got what He did not deserve. The gift of grace is freely given, no strings attached. 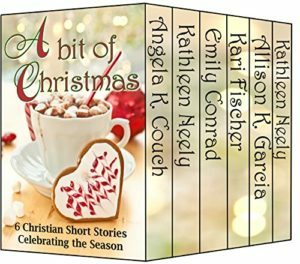 Christmas Presence by Kari Fischer is a sweet story surrounding what one really wants for Christmas. It shows that some gifts really are priceless. Just Another Navidad by Allison K Garcia is a heart warming story showing how God answers prayer but not always in the ways we expect it. There is the theme of family and church family, a feeling of belonging. The Dance by Kathleen Neely is about receiving and using the gifts that God has given us. Sometimes we are afraid but we need to focus on Him and ‘do it afraid.’ We mustn’t waste our God given gifts. A perfect read for any time of year. I loved all the stories but my favourite has to be Returning Christmas as it just spoke to my heart. Don’t wait for the festive season, buy and read this delightful collection today.